When dealing with the nuances of bulk liquid transport, trucking companies need to take a number of things into account. One of those deals with the individual who will be responsible for that bulk liquid transportation. That’s because mistakes on their part or other decisions can sometimes have a detrimental effect on the cargo that they happen to be carrying. Getting products from one destination to another is important, yet some truck drivers try and save time by going at a faster rate of speed. Other issues can crop up because the driver is ignoring other rules of the road or the current weather conditions suggest taking things more slowly. Ignoring these basic aspects of driving any vehicle inevitably leads to more accidents, so it makes sense to remember that when driving. Bulk liquid transport and other items that have a deadline attached to their delivery won’t get there if the vehicle carrying it breaks down because it hasn’t been properly maintained. 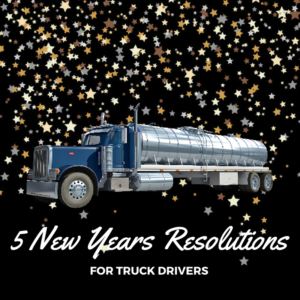 Far too many truck drivers don’t want to be bothered with seemingly tedious tasks like checking tire pressure or the vehicle’s fluids. Yet those things cause breakdowns that can result in more costly repairs and, from the perspective of trucking companies, delayed deliveries. Taking a little extra time each day will end up being beneficial in the long run for all concerned. One of the most important safety factors for any truck driver concerns being wide awake while driving. Too many truck drivers fall victim to trying to get somewhere as quickly as possible, which can lead to reduced sleep and added fatigue. That leads to costly and potentially tragic accidents. Establishing a regular schedule that includes at least seven hours of sleep per night when it comes to bulk liquid transportation or other type of cargo will get it there in a safer fashion. Sitting in a truck all day and stopping to eat at fast food places can add up to health problems down the road for a driver. To avoid this scenario, choosing the healthiest options at such eateries and working in a regular period of exercise each day is a good way to approach this problem. In addition, staying properly hydrated throughout the course of a day will also help. The long hours alone on the road can help breed feelings of loneliness or disconnect from those closest to a driver. With advancements in modern technology, that no longer has to be the case because of options like Skype, Face Time or the cell phone. Bringing those along for any delivery will play a huge role in helping maintain regular contact with loved ones, which offers a greater sense of contentment that money can’t buy. Regardless of whether trucking companies focus on bulk liquid transportation or more general aspects, the role of the individual making the delivery can’t be understated. Following the above suggestions will go a long way in making everyone happy. Contact us now!